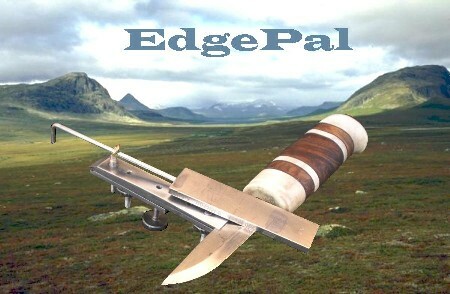 NEW 11/15 EdgePal now makes a sliding pivot called The Rail that allows longer knives to be sharpened with the exact angle for the full length. After years of making some interesting hand-held rod-guided systems, Thomas Lofvenmark has developed a more substantial model, the Chef. 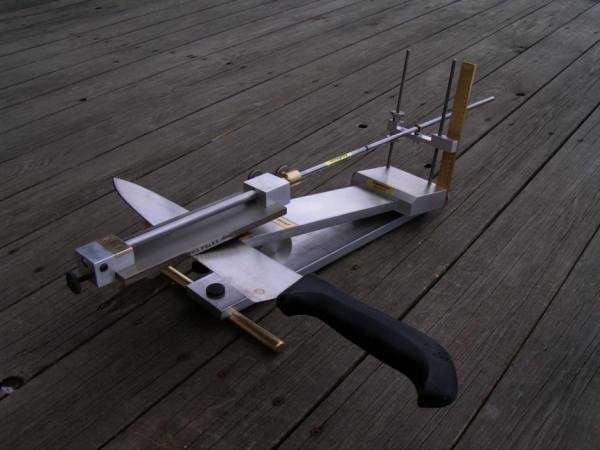 With a claimed accuracy of 0.01 degree, it is an angle fanatic's dream machine. 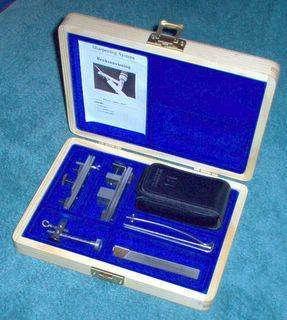 Similar to an EdgePro in use, it has several differences. You supply the stones - it will take up to 6" DMT stones for example. And the blade is held in place with magnets to eliminate any rocking. 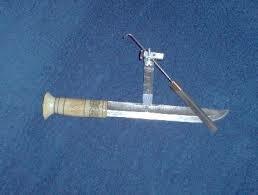 Website is http://www.edgepal.com Follow his instructions to look at the picture of the knife with the red handle. 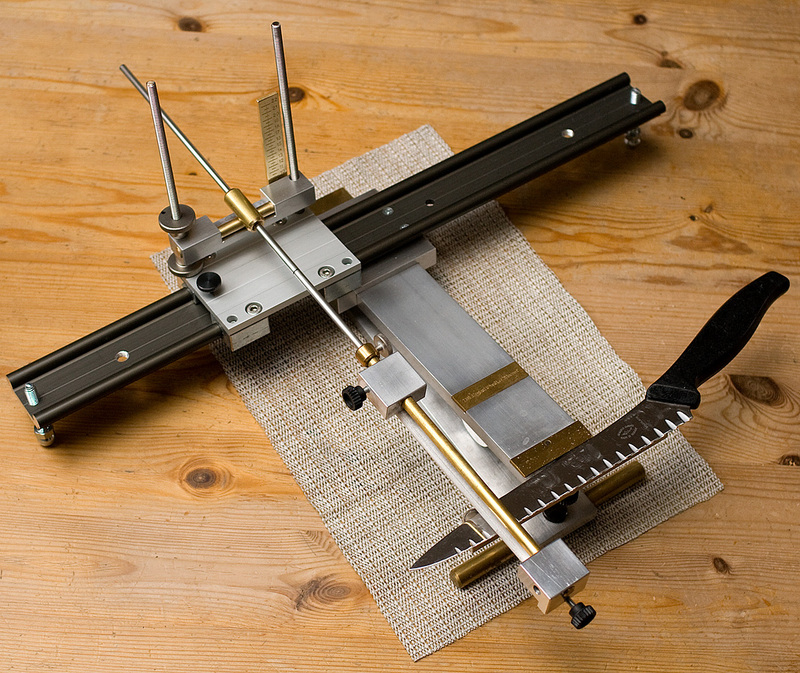 It can cut multi-bevels at only 0.01 degrees apart!